Thank you to Jermaine Reed for speaking at our re-dedication of the replacement banner. Our new banner is up and it will be dedicated during our Easter Service March 27th, 2016.
courage of Easter as we dedicate our new Black Live Matter sign. We have replaced our Black Lives Matter Banner and given it a new home. A banner maker donated an banner and enough money was raised for at least another 2. The money will be used to put a banner back up on our property is a more visible place harder to reach place. A second banner will be given to our sister church, Shawnee Mission Unitarian Universalist Church. We are hoping to get a third for another congregation that we collaborate with. Stay tuned. There may be more to report soon. Rev. Kendyl Gibbons has been interviewed by Fox 4 News in her office. Watch tonight at 5PM or 6PM or both. We will add the link when available. 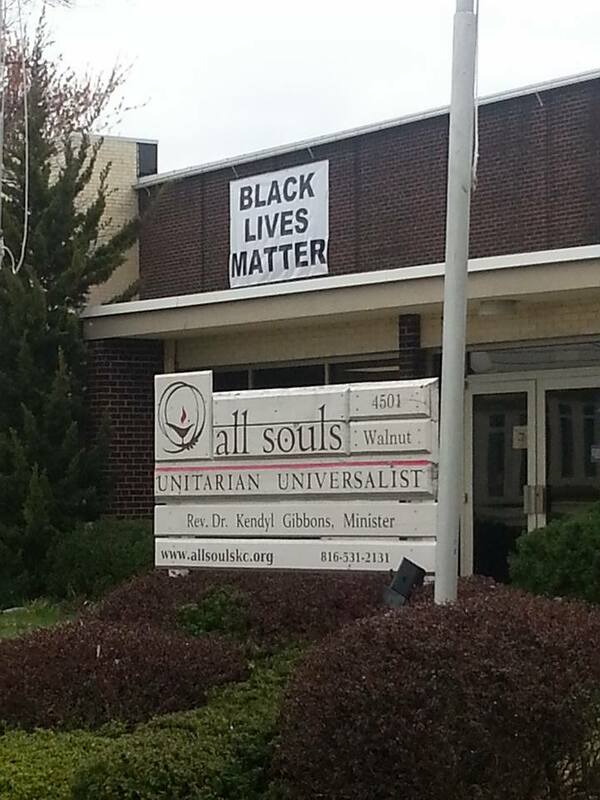 On June 14th, 2015 as part of our Junteenth celebration, All Souls UU Church unveiled its Black Lives Matter banner. In the hours before Sly James made the annual presentation on January 17, 2016 from the mayor of Kansas City, MO our banner was stolen. The reporters that came to report on the mayor’s presentation were still around when Rev. Kendyl Gibbons announced that the banner was stolen. This led to an article at the Kansas City Star. 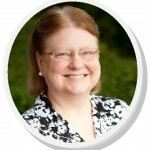 The article led to an interview with Rev. Kendyl Gibbons that is expected to air on KSHB 41 on the 10pm news, January 17th. Certainly all of this publicity is not what the vandal(s) intended. If you would like to donate toward the replacement of our banner, please go to Network for Good. Please put Black Lives Matter Banner in the Designation field.